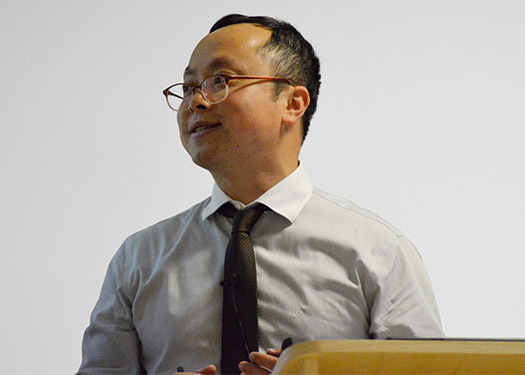 Si-Yi is an Associate Lecturer for the CQF. He teaches applied quantitative finance in volatility arbitrage, stochastic interest rate models and credit derivative pricing and risk management. Before joining Fitch Learning CQF faculty, Si-Yi worked as a senior risk analyst in a city based consulting firm to provide constructive solutions to leading banks and insurance companies. He has worked on many projects in counterparty credit risk and market risk management. Currently he is working at Moody’s Analytics based in London. Si-Yi holds PhD degree in quantitative finance at Imperial College London, and he holds a Masters degree in Actuarial Mathematics in Herriot-Watt University. His current research focuses on several topics in credit risk. Particularly statistic methods to analysis credit correlation, enterprise macro stress testing, optimizations of economic capital and its allocation. At Fitch Learning CQF, in addition to classic financial mathematics such as Black-Scholes widely used by sell side market makers, Si-Yi has also experienced in data analysis which are important to buy side market players. Such as advanced statistic models in co-integration analysis and Generalized Linear Mixed Models which are advocated by many practitioners.